Exchange Script helps you build a fully secure and customizable while labeling cryptocurrency trading platform software with our seasoned experiences. How is a good cryptocurrency trading platform software? Cryptocurrency exchange platform is a platform where cryptocurrency is bought, sold and traded. Each completed transaction on the platform will bring in a small fee to the platform owner. It can convert the form of cryptocurrency in another form. So, how is a good crypto exchange platform software? Let’s find the answer below. The trading platform must have the friendly interface so that trader can use easily. The platform has advanced buy/sell system with popular payment methods and has priority for fast order execution for top currency. The platform software has good protections to against the attack and ensures the asset of traders. A lot of methods we can use to improve the security of trading platforms such as KYC/AML verification system, API integration, permission system, 2FA authentication, request encryption, and authorization. In particular, the software has manual confirmation from the admin of high volume transactions or the large amounts. Our cryptocurrency trading platform software is a customizable platform and can be integrated easily with any third party software. It is fully extensible and versatile with the user-friendly interface. The transaction has become faster with no or fewer transaction fees. The interruptions are limited in the transaction process to enhance the user’s experiences. Admin Dashboard provides full statistics for the Currency market, trade, and users, chart, etc. Besides, Admin Panel includes options like user management, currency activation and so on. Trading platform mobile app will help users implement transaction quickly and conveniently. The mobile apps have a user-friendly interface with fast trade execution. The trading platform has to ensure the technical problems and overcome technical issues. The platform should be monitored and to have Plan B, as well as a backup in a safe place. – Changes, exchange, and transactions are calculated, and if something is wrong – there is a return of operations. – Validation of the sum. – Available user log files. – Administrative notifications in case of inadequate activity. Support service is a key factor to make a success of the trading platform. In the case of malfunction, respond as fast as possible and be generally notified about it. 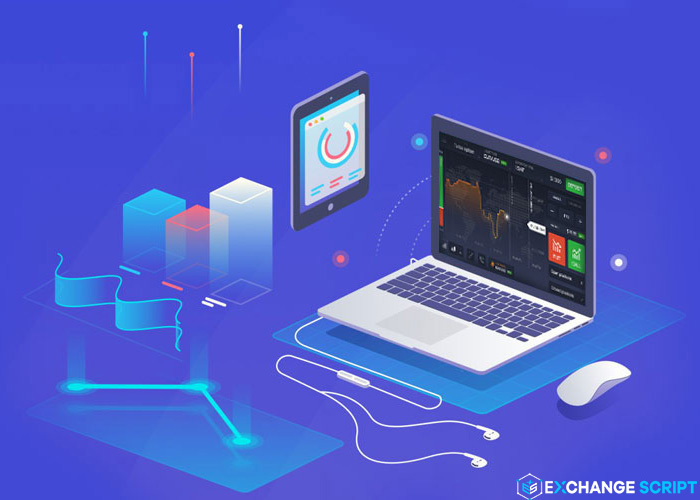 Exchange Script is a cryptocurrency exchange development company that pioneers in developing a professional cryptocurrency exchange to facilitate secure and fast transactions. At Exchange Script, you will have collaborated with a team of talented developers who always catch up with the latest blockchain technologies. 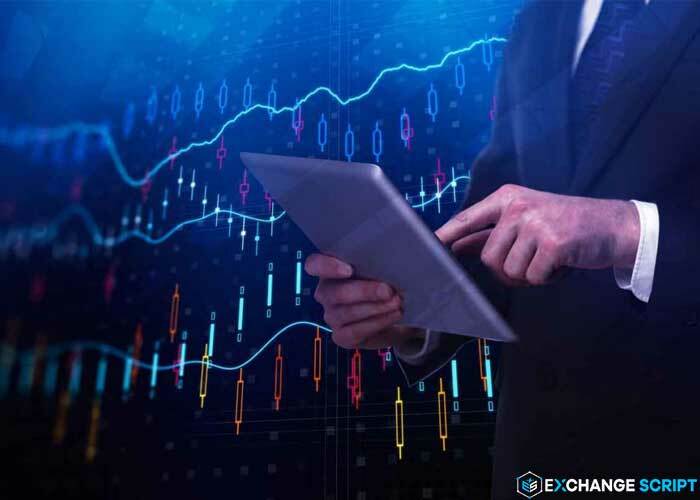 Exchange Script provides the best white-label cryptocurrency trading platform preventing fraudulent activities. Moreover, this software will guarantee that money of trader and investors will be safe. Exchange Script has a talented team of developers, always keep up with the latest technology trends to provide our customers with the best solutions. Exchange Script is always aiming to maximize the benefits of our customers with superior services, affordable pricing, and security. >> See more: How to build a secure cryptocurrency exchange?